Colorado Elementary: Mrs. Stewart’s 4th Grade Class. Grant Elementary: Grant Gives Back. 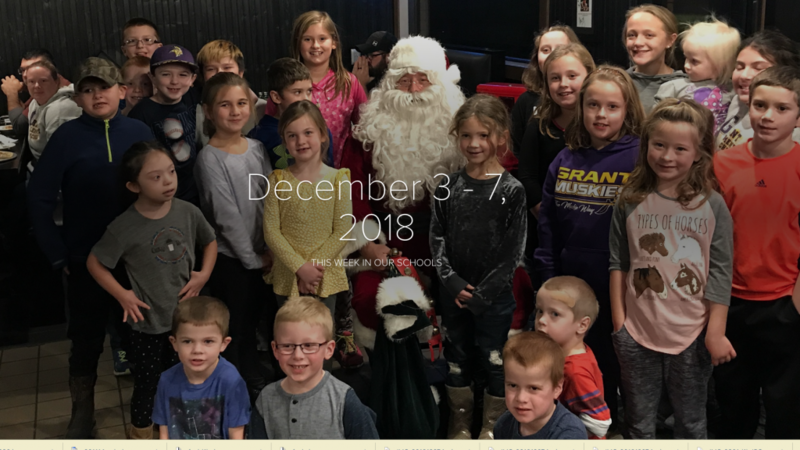 Grant Elementary: November Perfect Attendance. Jefferson Elementary: Family Holiday Party. Jefferson Elementary: Ms. Story’s ASL (American Sign Language) Class. Madison Elementary: Mrs. Godden-Alloway’s Reading Class. Central Middle School: CMS 6th Grade Avengers Superheroes! Central Middle School: Mrs. Negus’ ELA Class. Central Middle School: Mr. Edkin’s Design and Modeling Class. West Middle School: Mrs. Schroeder’s 6th Grade Energy and the Environment Class. West Middle School: West Pepper Volleyball Game Record Set! West Middle School: Spreading Holiday Cheer. Muscatine High School: K-POPS Club. Muscatine High School: Mrs. Rauenbuehler’s Pre-AP English 10 Class. Muscatine High School: Mrs. Kelsey’s and Mrs. Wells’ Classes. Muscatine High School: Mrs. Phelp’s Yoga Class with Muskie Wrestling Team. Muscatine High School: Mrs. Clark’s Essential Chemistry Class. Muscatine High School: Bags of Blessings. Muscatine High School: Academy Students.